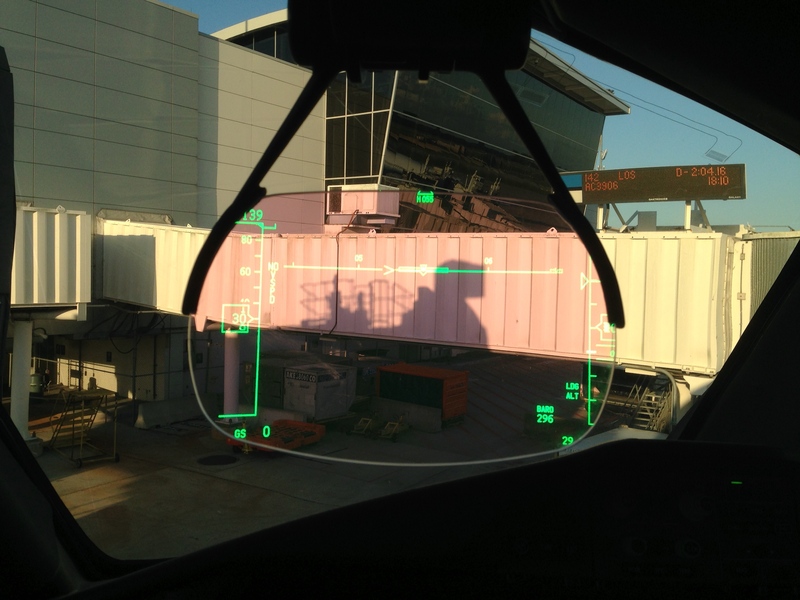 787 Dreamliner | ride. travel. live. Reflections on life, travel, and snow. Next destination is. . .
End of the year! 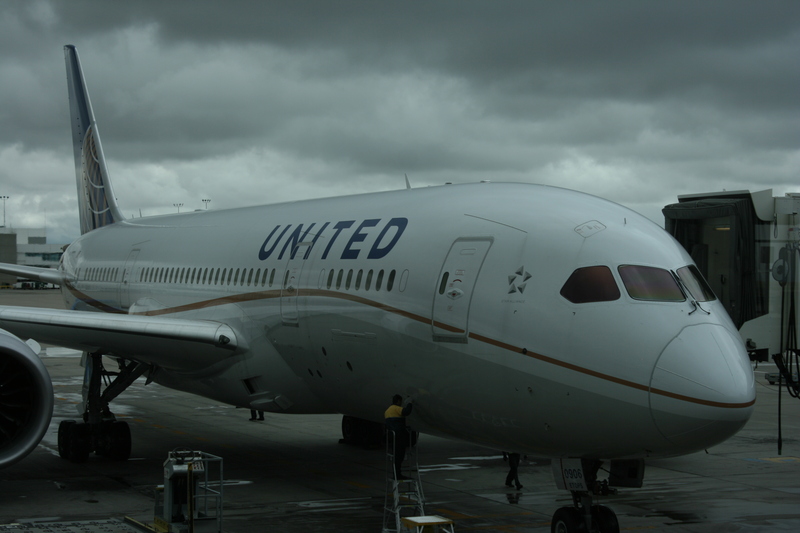 United Airlines offers a couple of 787 Dreamliner domestic legs, one of them between Denver and Houston, a good way to experience the jetliner without flying a long international route. Despite the much-publicized problems with the airplanes, which are normal for any radical new design, it’s a wonderful airplane, with nifty state-of-the-art features. There are also all sorts of other bells and whistles, turbulence damping, lower altitude pressurization, mood lighting, and other stuff to enhance your flight experience. So here are a few photos of my brief flight in economy class from back in October. The 787, recently arrived from Narita, parking at the gate for the short hop to Houston. 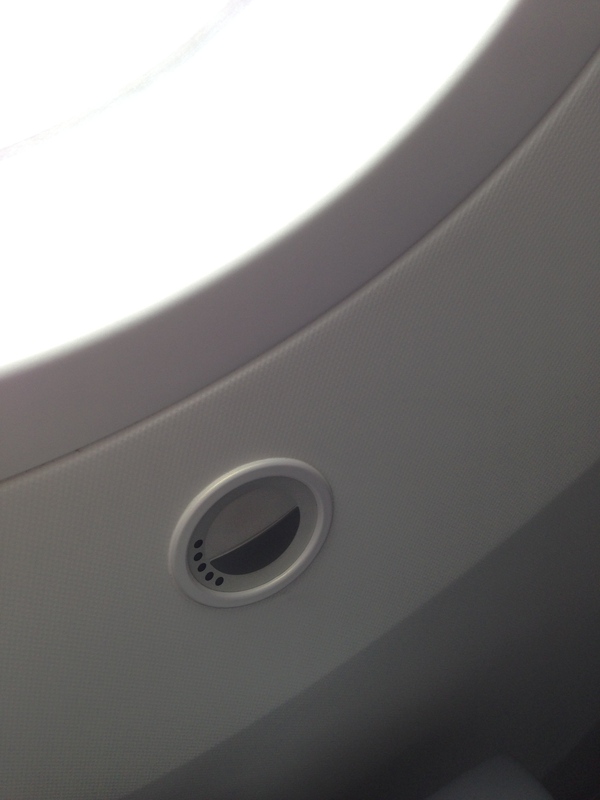 No pull-down window shades, the lights are dimmed by this control. I sat in the cockpit briefly after landing in Houston. This is the pull-down panel with the usual indicators. 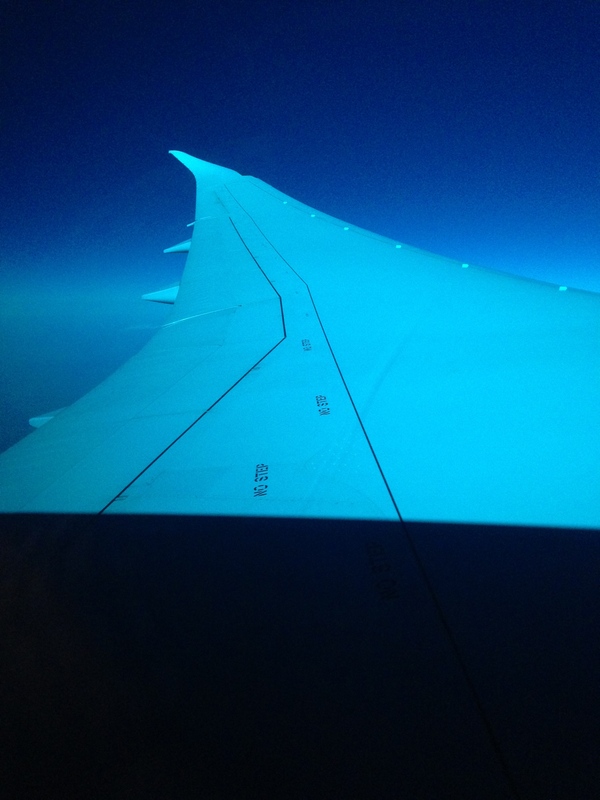 The wing design is unique as well, also seen on the Boeing 787-8 redesign, they’re similar to bird wings. Note the tint, this is the window shade at its dimmest setting.